I was first introduced to fried bologna, I believe when I was living in Indiana as a young kid. I mean probably first grade. I could be wrong as age is getting to me, but I recall my Dad searing it on a hot skillet on the stove top. I always try to bring back those types of memories to my kids whether it be teaching them how to make a proper omelette or a simple thing like making stove top popcorn. 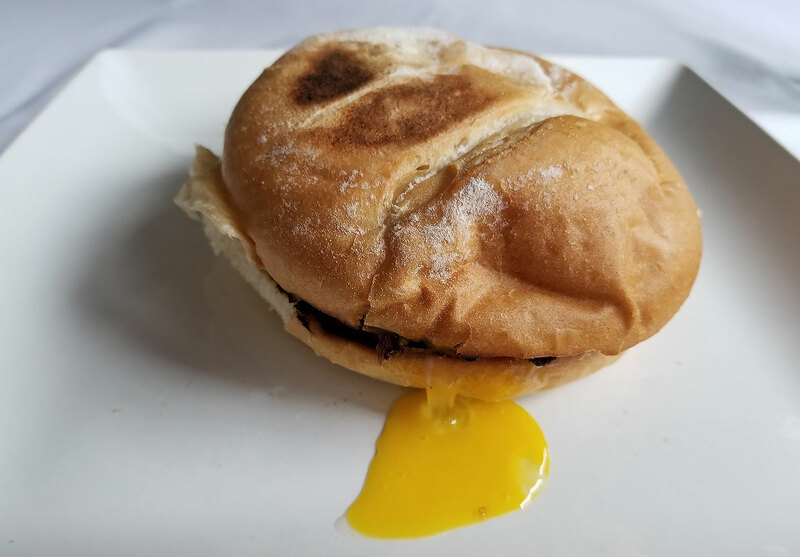 When I recently shopped I had the idea of a McMuffin on my mind, and then as I was ordering some ham, I took a gaze over at the bologna and decided to go straight for it as I knew one of my boys loves it as well. That’s when I decided to come up with the fried bologna breakfast sandwich. To me, this is a perfect breakfast, or brunch sandwich and it has everything I love for breakfast (yes, I’m a fan of the egg McMuffin), but substitutes Canadian bacon with thick cut bologna, about 1 inch thick. Start by heating a large skillet on medium high heat. Slice your roll and lightly toast it on both sides. Remove and set aside once it is toasted. Next add the sliced bologna and cook it until it is nicely seared on both sides. It will curl up on you, but don’t worry. To me it is the vessel to hold the egg. If your skillet is large enough, keep it cooking while you cook your egg. If not, remove and cook your egg. Turn the heat back down to medium, and add the butter. Crack your egg and using a spatula, lightly break that thick egg white and let it run around. Season with salt and pepper. I like to cook the egg when the white edges get nice and crispy, but cook it however you like. 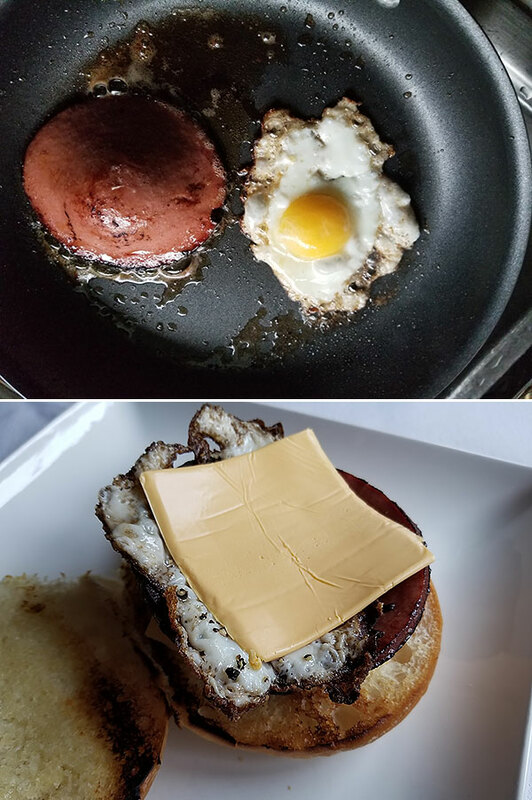 Add the fried bologna to the bottom bun, top with the egg, and add the American cheese. Cover with the top white bun, push it down a bit to create that yolk gravy, and get to town. It’s salty, crisp, and just down right delicious. Get to it, you’ll love it. Hope you enjoy!